Please explain. There should be no difference using the AES-SSE42 build on an AVX CPU. you know it better joblo .. i have no such deep knowledge about cpu extensions .. Fixed argon2d-uis low difficulty rejects. Dear Joblo, I really appreciate your work and ask you to look at cpu affinity. The developer xmrig had a problem and he decided it. I've tested everything on xenon e5 2680x2, and the same problem. According to your recommendations, he divides the speed of 600 h / s in half, but all the same I won it. 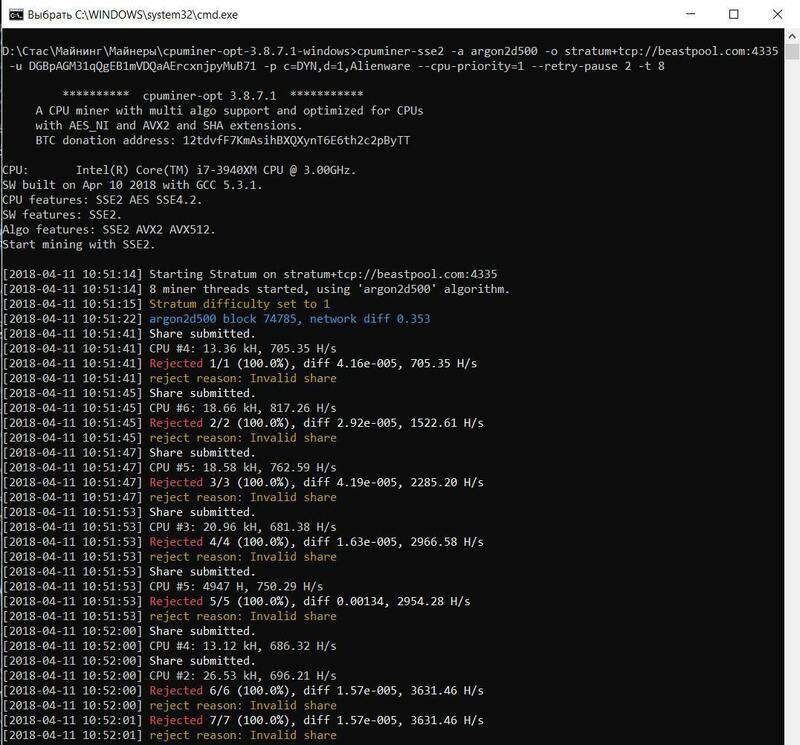 --cpu-affinity 0x55555555 and manually pointed to 16 physical cores and saw the desired 900 h / s. But not for long, the average speed is 750 h / s.
I just do not understand why they claim that I do not understand something when other developers had the same problems and they solved them. Already brought the facts but ignored me. Multiple Algos paying in Bitcoin. No registration - Just use your Bitcoin address as user. 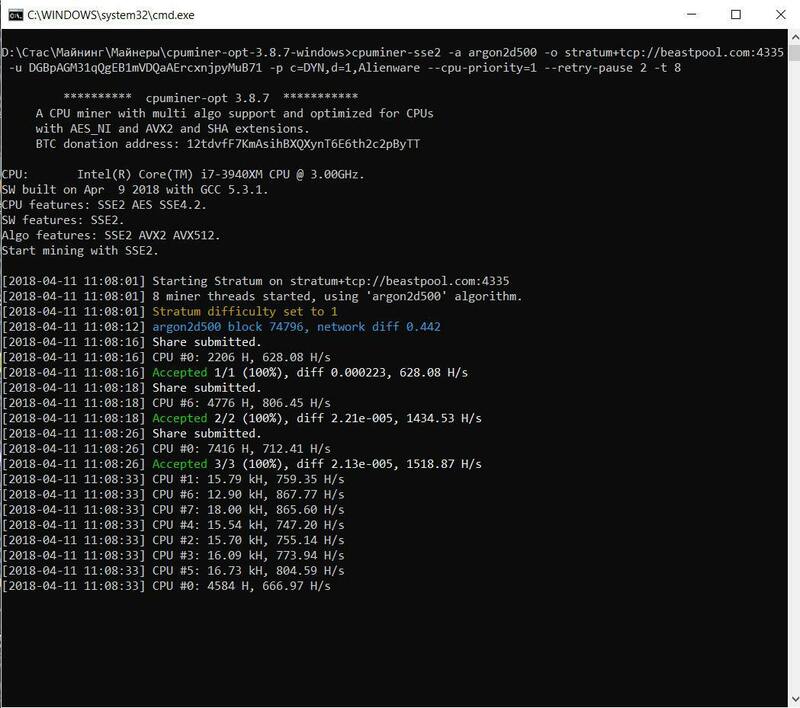 As soon as I start the second miner -t 8 --cpu-affinity 0xaaaa (0x5555), the speed is immediately divided into 300 h / s for each. With the yescryptr16 algorithm, there is no such problem! Yescryptr16 is different from yescryptr32, you can't compare them. There is no problem. 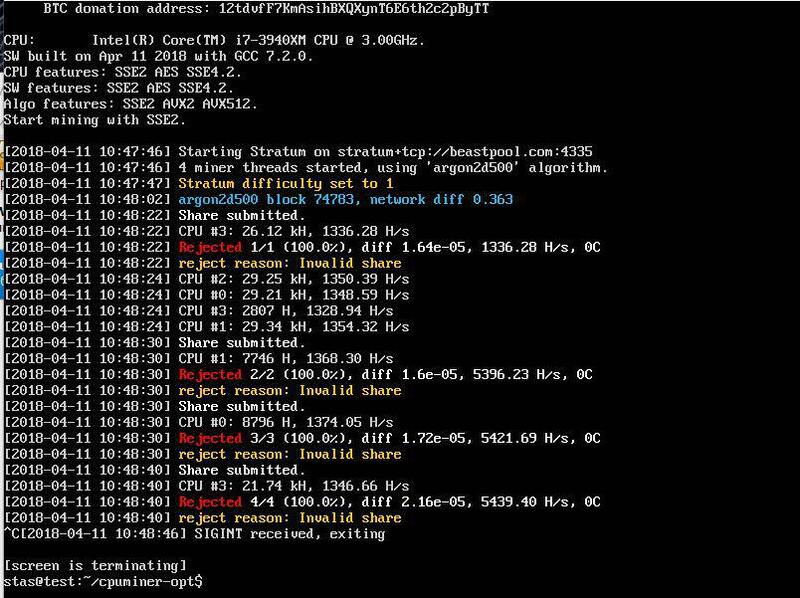 argon2d250 - on cpu-opt with sse42 HR is 27.5 , beastpoolminer with avx -30 . Why Joblo??? Yes argon2d500 s broken in v3.8.7.1. I'm looking into it. Please provide more info: CPU, OS, build, etc. Fixed argon2d-dyn regression in v3.8.7.1.